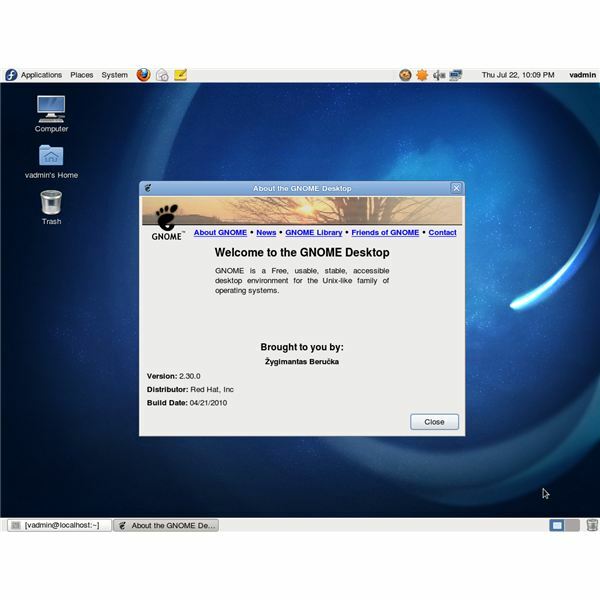 The GNOME desktop is probably the most widely-used Linux window managing system. Popular Linux distributions like Ubuntu, Fedora, Debian and more include GNOME as the default desktop system. GNOME uses the GTK toolkit. GNOME includes much more features than just a window manager, including a desktop, panels with embeddable applets and a suite of system and desktop configuration tools. The GNOME desktop project encompasses a variety of different software, from the Nautilus file manager to the Epiphany web browser. GNOME includes a file archiving tool, file search tool, keyword management application, disc burning utility, calculator, dictionary, email client, games and more. GNOME isn’t as lightweight as some other window managers or desktop environments, but contains much more features. KDE is perhaps the second-most popular Linux desktop environment. Linux distributions like Kubuntu and OpenSUSE include it as the default desktop system. KDE and its applications use the QT toolkit. KDE is like GNOME in that it is much more than just a window manager and includes the "Plasma" desktop with widgets as well as the traditional panel. KDE’s window management includes much more reconfigurability; users can perform detailed customization of window behavior by right-clicking a window’s title bar and clicking "Configure Window Behavior." KDE includes its own suite of software, from the Dolphin file browser and Konquerer web browser to the Kontact personal information manager and Amarok music players. It also includes a variety of utility applications, comparable with GNOME’s. KDE is similar to GNOME; it’s more full-featured and uses more computer resources than lighter window managers. XFCE is a popular, more lightweight Linux desktop environment. Linux distributions such as Xubuntu include it as the default desktop system. It’s based on the GTK toolkit, just like GNOME is. XFCE is more lightweight than GNOME and KDE but less full-featured. XFCE includes its own lightweight suite of programs like the Thunar file browser, Mousepad text editor, Orage calendar and its own desktop configuration programs. XFCE isn’t quite as stripped down as more lightweight window managers but is more minimal and lighter than GNOME and KDE; it’s a good midpoint between the two extremes. IceWM is a fast, lightweight window manager for Linux that tries to get out the user’s way. IceWM won’t be for most users, as the Windows 95-esque graphical user interface looks fairly dated. However, it’s a great way to squeeze performance out of an older system. With Linux, you have the option to run the latest system software and a lightweight desktop system. Enlightenment is another, more lightweight desktop environment that’s also good for older computers.